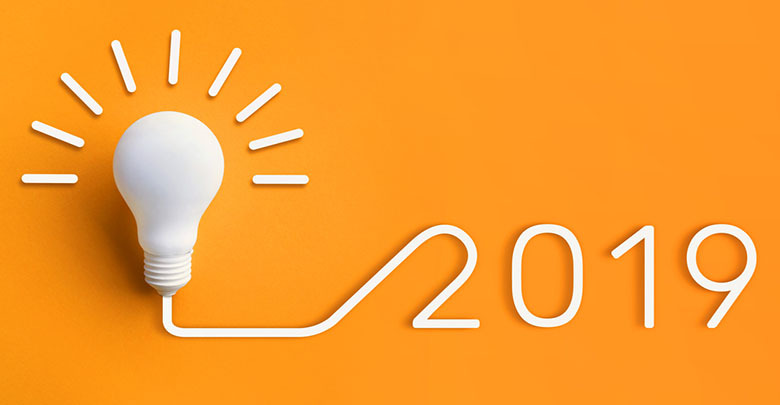 As we begin 2019, you’re probably among the many CIOs around the globe reviewing strategic objectives and thinking about how to successfully execute the ever-increasing number of strategic projects without any significant proportional increase in your IT budget. And burning in the back of your mind are all the statistics about project failures. McKinsey & Company writes about 17 percent of IT projects go so badly, they threaten the existence of the company. Gartner states that the failure rate of projects with budgets over $1M is 50 percent higher than the failure rate of projects with budgets below $350,000. And then there’s the State of Rhode Island, where a $110 million-dollar project cost nearly three times as much. I’m sure you don’t want to be the next statistical reference. So! 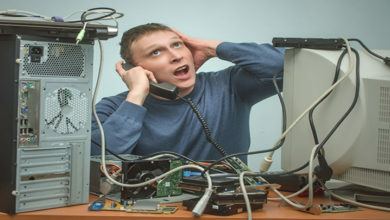 Why do project failures keep occurring? Every year we keep reading about failed project statistics and the numbers will grow as strategic projects take on a more important role in project portfolios. Well, MIT and Capgemini conducted a study with over 1,300 world-wide executives to determine the major obstacles that threaten successful execution of strategic digital innovation projects. Guess what was on the list? 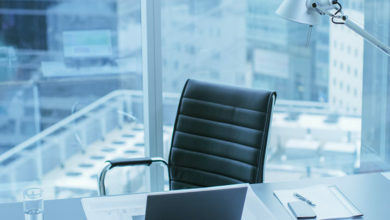 These executives identified governance as one of the major obstacles in successfully execute Digital Transformation efforts that leverage technology as a strategic asset. 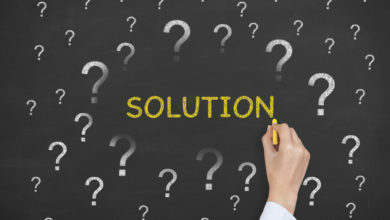 As C-suite executives identify strategic initiatives that leverage technology to enhance customer value, improve operational processes, and re-engineer business models, these initiatives are at risk and can negatively impact business success if you have an ineffective or immature governance process. Therefore, you need to transform your current, and probably reactive IT governance model into a new and mature proactive model that I’ve named Strategic IT governance 2.0 that will reduce enterprise risk, ensures total alignment in project selection/execution, and enable the enterprise to accomplish its strategy, goals, and objectives. So, the obvious question is how does an IT organization ensure project alignment, increase project throughput, and reduce risk, while enabling the company to achieve its strategic goals? The answer is to develop a proactive Strategic IT Governance competency-enterprise wide- that focuses on project alignment, process discipline, and leadership excellence. During this past year I’ve spoken on this subject at many IT executive events and met with IT Executives to share their insights, challenges, and opportunities in overcoming the challenge of an increasing portfolio of complex projects without a proportional increase in budget. What’s more challenging is that these complex technology projects are subject to greater risk that could impact schedule, cost, and quality. So, if you are a CIO with these same challenges let me share a methodology, framework and strategic IT maturity assessment for Strategic Governance 2.0 that focuses on project alignment, process discipline, and leadership excellence. 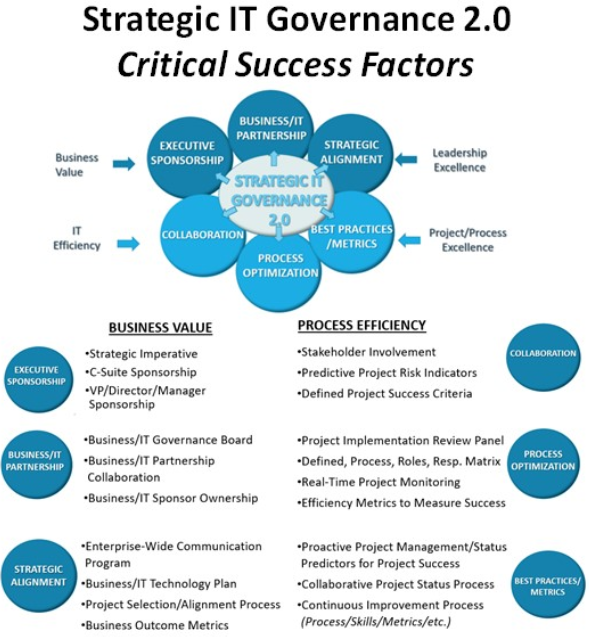 Strategic IT governance 2.0 encompasses the enterprise. This implies that the focus needs to be on both business value as well as process efficiency across the entire project life cycle. To succeed at Strategic IT Governance, the enterprise must embrace six critical success factors and underlying best practices. A maturity assessment will determine the degree to which your organization embraces these best practices. I’ll discuss the maturity assessment shortly, but for now I want to provide you with a brief overview of the six critical success factors and underlying best practices. Executive sponsorship is an absolute must for any enterprise initiative to succeed and must be embraced by the entire executive hierarchy. C-suite sponsorship needs to be on the agenda of every C suite executive and be embraced and communicated throughout their organizations. Business/IT partnership is recognized as a necessity today across many companies. Gone are the days that IT remains a tactical organization subservient to the whims of the business. Today, technology is at the core of every company’s products, services, and business processes and the IT organization is proactive working with business unit leaders as co-team members to identify and develop new products and services. and incorporating technology as an integral part of the business strategy. A business/IT governance board must be established to oversee all major technology investment decisions. We all know that being in the thick of projects sometimes prevents us from seeing the forest amongst the trees and a business/IT governance board can add objectivity to project oversight. Business/IT teams partner collaboration needs to occur on an ongoing basis as it bridges the divide between these two organizations. Finally, every project requires business/IT sponsor ownership. We’ve all attended meetings where finger pointing becomes the main defense against challenging projects. This has to stop and the best way to accomplish this is to have a business owner and IT owner jointly held responsible for project results. Simply stated, strategic alignment consists of best practices that ensure the selection/execution of projects align to the strategic goals of the business. We are all aware of black hole projects that do not align with company strategy but take up time, resources and money limiting project throughput and creating a backlog of projects that, if executed, would provide measurable business value. An enterprise-wide communication program ensures that everyone understands the business value of strategic project alignment. An integrated business/IT technology plan that supports the business strategy and goals of the enterprise enables the collaboration process of business and technology personnel across the enterprise. A project selection/alignment process must embrace a disciplined approach using an objective and metric based methodology. Process efficiency is a combination of personnel working on the right project activities and executing them with project process excellence This needs to be the new norm across the enterprise. It’s all about doing the right things and doing them well. Simply stated It’s a combination of effectiveness (doing the right thing) and efficiency (doing it well). Collaboration is an often-used word but not always practiced. More importantly, collaboration needs to be proactive and not reactive. What do I mean by this? Every project has key stakeholders but they often don’t have a relevant voice in providing project status input. Active stakeholder Involvement is a necessary ingredient for project success. This can only be accomplished through active participation of the key stakeholders. Regularly scheduled surveys or assessments can be generated by specific project issues, stakeholder roles, and project milestones. The important factor here is to make sure that input from stakeholders is incorporated into the project management process and acted upon. This proactive process will minimize project risks, improve team building, and embrace an actionable communication program. Identifying predictive project risk indicators is a must as part of your project management discipline. These risk indicators can be a combination of subjective and objective measures captured during the previously discussed stakeholder involvement best practice and represented on a project dashboard for real-time risk status. Project success criteria is another collaboration best practice that measures the process efficiency of project delivery. These are typically, but not limited to the process efficiency of project execution such as SLAs, issue resolution, mitigation process time line, etc. Process optimization is a critical success factor that has four best practices that involve the project management and project execution processes. A project implementation review panel is a crucial ingredient to project success. This is where business and IT personnel with oversight/governance processes can effectively review key projects and provide objective coaching and mentoring to help project teams succeed. A second key best practice is to develop a defined process, roles, responsibility matrix that clearly defines the project management processes, appropriate roles, and responsibilities of Project personnel. I want to take a moment to stress the importance of improving the skills of personnel associated with project planning and execution. 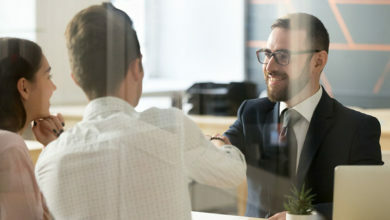 These individuals usually have excellence tactical project management skills but lack the associated business skills required in today’s business environment where IT teams regularly collaborate and are integrated into business/IT teams that identify and develop the products, services, and associated business processes that embrace the strategic goals of the enterprise. A third best practice is real-time project monitoring. I’m sure many of you remember the days when monthly project review meetings consisted of historical data. Well, those days are gone and today we need real-time project monitoring with dashboard reporting, so potential risks can be identified and mitigated quickly. Best practice metrics focus on proactive project management. We recognize that there are times when project issues require a reactive approach and we must take appropriate measures to mitigate risk. Although we can’t accurately predict the future, but we can make an attempt to predict outcomes based upon past experiences using Data Analytics / AI. Proactive project management / status predictors for project success includes a best-practices library updated regularly and available to all enterprise personnel. Remember, the key is proactive management. So, indicators, based upon real-time project data, that can help predict potential project risks will be very beneficial in ensuring project success Another aid in project success is a library of risk mitigation strategies based upon the experiences both from inside and outside the company. For example, maintaining a library of project issues and resolution mitigation strategies is a great start. 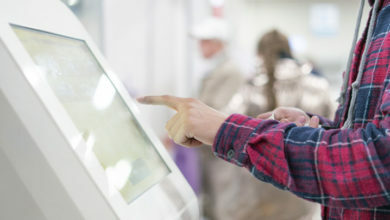 Real-time access to this library of mitigation strategy successes or failures, based upon type of project risk, with pertinent information to explore specific mitigation strategies, and contact information and links to appropriate personnel to better understand the strategy and how well it worked, can be quickly available using data analytics and AI technologies. Collaborative project status process pertains to preparing project status reports in a collaborative effort amongst stakeholders. This best practice brings together collaboration, teaming, and communication skills amongst project personnel and key stakeholders that enables a cohesive team to effectively succeed at project execution. Efficiency metrics to measure success represent a best practice that specifically identifies the key metrics to measure project efficiency, which is all about speed and agility. These metrics would include both positive and negative adherence to key milestone dates, Key Project Indicators such as financial metrics, incorporating stakeholder feedback, response time to issue resolution, etc. Continuous improvement is the glue that maintains the Strategic IT Governance 2.0 competency across the enterprise. One method to ensure that that continuous improvement doesn’t fall through the cracks is to establish a continuous improvement team for all major projects. And don’t forget to establish a team of mentors/coaches, either from within your company or external consultants who can help mentor and coach project personnel to improve their skills. As I mentioned previously, measuring the maturity of how well personnel exhibit Strategic IT Governance 2.0 best practices requires an assessment. This type of process is beneficial because it’s not about how high a score you receive but about your maturity score today versus a maturity goal score you wish to achieve in the next 6-12 months. I’ve developed this assessment for each of the best practices associated with the six critical success factors. Users score what they believe is their current maturity level and then identify a goal score for a maturity level they would want to achieve in the next 6-12 months. I’d suggest that this assessment be conducted across various organizations in your company and amongst different roles. This way, you can derive a good cross section of the maturity levels for these best practices. These best practices have been derived through my research with IT/Business executives. The assessment is available in Word format, so you can modify the best practices to your own organization’s propensity for change. Implementing Strategic IT Governance 2.0 is a culture change that focuses on project alignment, process discipline, and leadership excellence. To do so requires a three-phase approach. Awareness: Phase one is to create an enterprise communication program that heightens the awareness of personnel to the strategic importance and business benefits of incorporating this competency across the organization. Make sure you also communicate how a culture of project alignment, process discipline, and leadership excellence will improve business skills and improve their professional value as well as improve their brand as they move up their career path. Assess: Phase two is to conduct Strategic IT Governance maturity assessments across the organization. You can start with a small group to test it out and then expand the participants. The next step is to analyze the results, agree on current and goal maturity levels, and begin to identify the gaps, challenges, and opportunities to achieve your goal maturity level. Don’t forget to prioritize the specific opportunities to improve your organizations maturity so you achieve the greatest benefit in the most optimum time frame. Plan: Phase three consists of organizing a team to develop and implement a Strategic IT Governance 2.0 maturity plan. Make sure the team is represented by cross functional personal and includes an executive champion. And finally, ensure that the team meets regularly to update IT governance board and communicate status across the entire business enterprise. 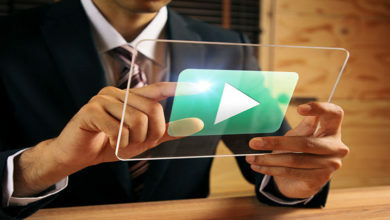 Executives today recognize the need to leverage technology as a strategic asset to enhance customer value, improve operational processes, and re-engineer business models. A Strategic IT Governance 2.0 competency will enable the enterprise to create, customer value, improve margins, and enhance shareholder wealth. During the next few months I’ll share success stories of CIOs and how they are proactively working with their C-suite executives to develop a Strategic IT Governance competency that is changing the dynamics of the business enterprise. This article was originally published at CIO magazine.